Prime location for a 2-bed end Townhome with fenced yard that backs to Tolt Pipeline Trail. Ample parking throughout, with reserved covered parking only a few feet from your front door. 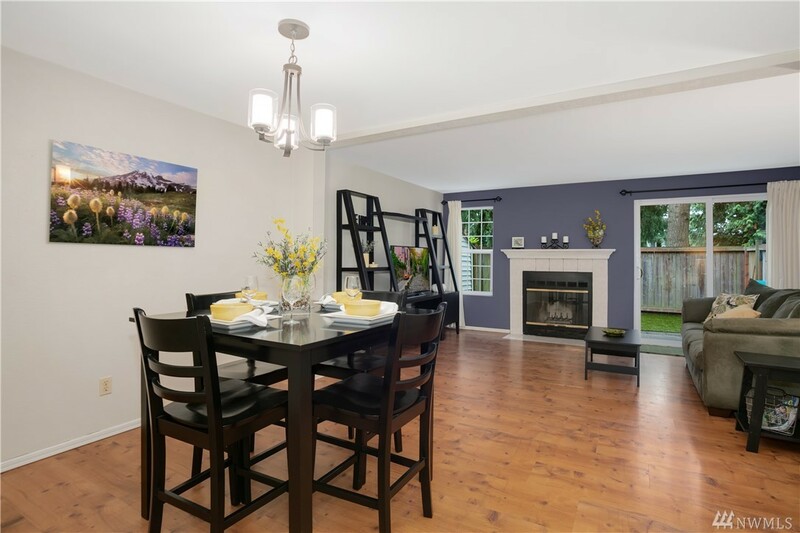 Enter to a spacious living area & gorgeous updated kitchen. Upstairs you'll find a light filled master suite connects to full bath; wall to wall mirror & extra deep tub. Fully fenced yard with synthetic grass that is beautiful year round. Walking distance to park and ride, easy access to I-405. Come see today!